Would you like to get more done, enjoy more free time, and increase your financial success? Imagine being able to create more wealth and free time in your life. How would you feel if you could spend this extra time with your loved ones or doing things you enjoy? What if you could transform your relationship with time and learn to value it enough to become its master? This book will take you from imagining these things to actually experiencing them. These 13 “secrets” are the proven formula used by world-class achievers across the ages. We live in a time where many people have lost touch with the qualities that produce extraordinary lives. Imagination, ingenuity, drive, and a no-fear, no-quitters allowed mentality often seem to be disappearing from our culture and our world. This is a book for everyone who has ever had a dream. This book will teach you how to set goals and achieve that dream, step-by-step and day-by-day. Would you like to create habits that will permanently stick and finally make the changes you want in life? Imagine if you could build powerful habits that you'll consistently stick to for the rest of your life. What if you could finally break the shackles of procrastination and stay on track with your most important habits day after day? How much more do you think you could achieve in the next five years? Twenty years? 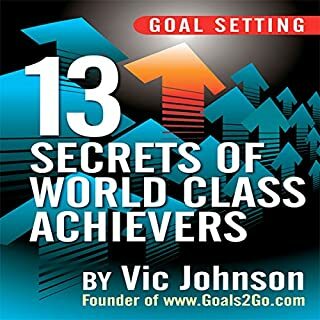 This book is a clear, concise, and easy-to-follow guide that tells you step-by-step how to set and achieve any goals. It gives you powerful, time-tested, and proven methods to help you transform yourself and life. Whether you lack direction, seem unsure, need guidance, are searching, or you simply feel frustrated and would like some sort of change, the information in this book can steer you in the right direction. Overthinking is just a habit. All habits can be replaced for new ones. The strategies and methods included in this guide will help people of all ages break the cycle and take action. This guide is for people seeking a more peaceful, self-controlled mind, so that they can make great decisions in their personal and professional lives. short and sweet. worth the purchase!! 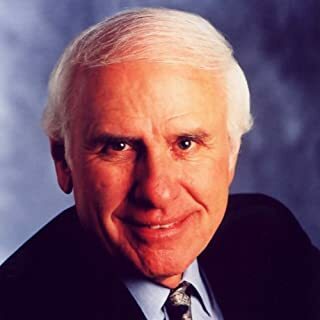 As the personal development expert Brian Tracy says, you have two choices in life: you can either work on your own goals, or you can work for someone else and help them achieve their goals. Did you know that only a small percentage of the population has clearly written goals that they work on every day? These are the people who end up achieving the most in life. You've probably reached the point where you realize that setting goals might be beneficial and I'm here to tell you that you're entirely right. You are also wondering how to set goals effectively. You're now just one click away from making the decision to set goals for yourself. Setting goals is one of the most important decisions you can make in your life, and it can bring immense satisfaction. So start setting goals today. I promise you won't regret it! Teach you how to set short-term and long-term goals in all areas of your life. Help you realize your potential and achieve more than you thought possible. Provide you with an effective strategy to achieve your goals. Enable you to overcome the obstacles that you'll encounter while working towards your goals. Discover goals you didn't even know you had! Would you listen to Goal Setting again? Why? I think so. There are some gems in this book! I really like the Goal Setting exercises. I discovered a few goals I didn't on a conscious level know I wanted to achieve. Hey! I was impressed with that which gave me new focus as well. I like all the reminders of what positive self talk can do for you!!! 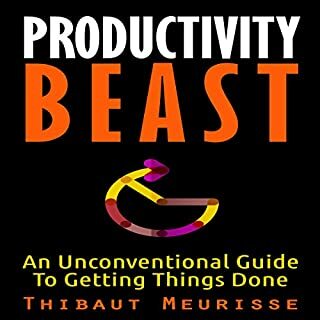 There's nothing new in this book, but it's a well-organized summary of best practices for setting appropriate goals and achieving them. There's also a useful workbook on the authors site that you download for additional help. I liked the short length, sometimes I feel that authors pad out and repeat information just to make the book longer, but this got to the point. The biggest weakness I saw is the lack of pointers to others' work who may have covered some of the newer or more novel ideas first or in more detail. Would have been nice to give credit to those who did that work and it would give listeners ideas of where to look for more information if they want to explore that idea in more depth, for example, the deliberate practice section. The material itself was maybe just shy of 4 stars in my view, but appropriate length and excellent narration pushed it up to 4. 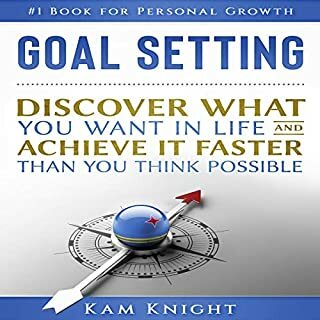 TARGET AUDIENCE: This is not a basic book on Goals, but an advanced, well researched book on how to truly make effective goals that will make a meaningful difference in your life. I have read enough books on goal setting to see that this book is for the individual who is truly ready for change. CONTENT: Although this book contains the basic, well known introduction to setting goals including SMART goals, it goes far beyond that teaching SMARTER goals and DUMB goals. (I particularly liked the DUMB goals. All of us have been taught how to make goals, and forget them. This book talks about making meaningful goals which will actually make a difference. It is very well researched, and based on sound principles. NARRATOR: Wonderful narration. Smooth and easy to follow. OVERALL: I plan on downloading the accompanying material from the author’s website and teaching it to some of my clients. I highly recommend this book. This was a really good book, filled with lots of good advice for making and achieving goals. I think my favorite bit of advice, paraphrased, was that you should think of your goals and think each day what you could do to that day to bring yourself closer to achieving that goal, then do it. Because that is what goal achievement is: doing something each day to bring yourself closer to the end goal. I got a lot out of this book, and it was perfect for reading right before the new year. It is short (about two hours), but well-written so that you can get a lot of information out of it. I listened to the Audible audio edition narrated by Meral Matthews, and I really liked his narration. His voice is very clear and he reads at a good speed. If you are interested in really achieving your goals, this is a great little book to get you motivated. 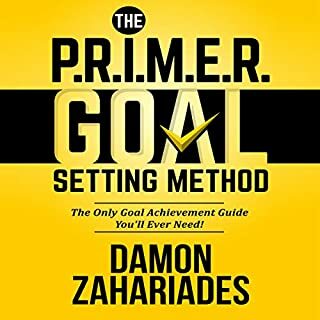 Where does Goal Setting rank among all the audiobooks you’ve listened to so far? I'm relatively new to audio books - I have four. But this is definitely in the top half of those four. What does Meral Mathews bring to the story that you wouldn’t experience if you just read the book? A voice that seems somewhat robotic. Not necessarily in the inflection sense - he does have some variation in that. But the first impression I got - which was not dispelled throughout the book - was a robotic voice. It's not off-putting, but it's constantly sitting in the back of my mind as I listen to the book as a distraction. It was probably around Chapter Seven when I realized there wasn't anything new I was learning...and that was perfect. I didn't purchase the book to teach me something new - I purchased it to help me set goals. I didn't need to learn a different methodology; I didn't need to build a different system. I needed to remember what's important about goal setting, and that's what the book delivered. This book is perfect if you want a boiled-down version of a number of other motivational books. If you're a student of self-development you're probably not going to find any new material here, but what you will find is a concise summary of the why, how, when and what of settling goals without a ton of fluff (which is generally prevalent in other self-development books). For some reason this audio book made me want to take action.I have no idea why. 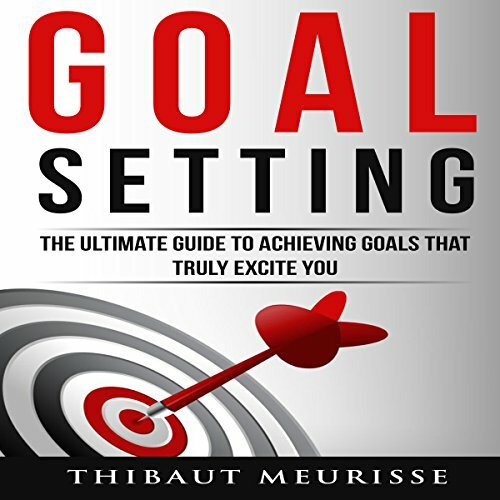 Goal Setting: The Ultimate Guide to Achieving Goals That Truly Excite You by Thibaut Meurisse was a great and helpful read. This book includes a step by step workbook that you can download and print. This book assists in setting goals and making them clear. I think this is a very helpful guide. This is the most powerful book I've read 2nd to my Bible. Outstanding! Loved it and will listen to it again and again! 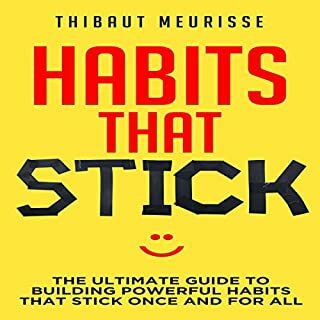 This is a nice short book that takes all the knowledge obtained from any self-help guru book out there and compacts it into an easily digestible format. Meurisse points out how most people spend their lives pursuing a goal that they don't really want. He also talks about how the value is not in the goal, but it discovering what really matters most to you. Vague goals are not easily obtainable. Meurisse gives and example of how our mind works with vague goals. Take 10 seconds to think of all the thing in this world that are white. Now try to think of all the things in a refrigerator that are white. The point is when we actually focus on something with constraints like what's in a fridge we can probably come up with more. Sharing goals makes them now a part of reality and often times they will be less attainable. Have you found goals that will be motivating you late in life? Overall this was a nice enjoyable book with very practical ways to set obtainable goals for yourself.